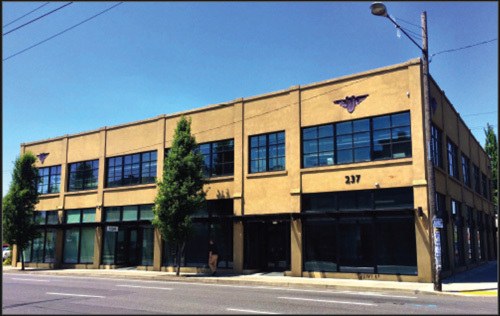 ALVAREZ & MARSAL PROPERTY INVESTMENTS (AMPI) ANNOUNCE THE ACQUISITION OF A BUILDING IN NORTHEAST PORTLAND, OR. NEW YORK – Alvarez & Marsal Property Investments (AMPI) announced its latest acquisition, a 20,000 square foot commercial building located in Portland’s close-in Northeast district. 237 NE Broadway is a property uniquely positioned on one of the most prominent thoroughfares within the Lloyd District. In the midst of a development boom, the Lloyd District is poised to be a much bigger draw for Portland’s youth. With many construction cranes working in the area, Alvarez & Marsal Property Investments’ latest acquisition in this district marks a strategic acquisition in a time during unprecedented neighborhood revitalization. Previously known for office towers and shopping, new city plans and the largest single Portland apartment project in the city’s history will soon pave the way for more of the district's workforce to live within minutes of work. In an area on the verge of infusion for round-the-clock energy like other Portland hot spots, 237 NE Broadway is sitting in the middle of Portland’s home for exciting concerts, sporting events and major gatherings. The building’s proximity to the MAX Light Rail System, great bus service and two major freeways, offer the property exceptionally convenient and quick access to downtown Portland. Though rapidly on the rise, the area currently boasts one-of-a-kind boutiques, local craft breweries, an eclectic mix of dining options, as well as National Sporting events. Built in 1924 and renovated in 2008, its traditional beam construction and open ceilings allow for plenty of natural sunlight. The two-story property was acquired in an off-market transaction as a mixed-use creative office and retail space, complete with free on-site parking. Alvarez & Marsal Property Investments, LLC (AMPI) is a wholly-owned investment vehicle of Alvarez & Marsal, Inc. Uniquely positioned due to its size and close relationship with Alvarez & Marsal, a leading global professional services firm, AMPI has the support of a large company with the mobility of a boutique firm benefitting from creative debt and capital financings, broad relationships, and a deep heritage of honesty and integrity. © 2019 Alvarez & Marsal Property Investments, LLC. All Rights Reserved.